OTTAWA, Aug. 21, 2018 /CNW/ - NordikLeaf™("Company") is pleased to announce that it has entered into a strategic partnership with a large commercial real estate developer for the refurbishment of its Ottawa-based cannabis cultivation facility. This partnership will enable the Company to obtain the necessary licensing under the Cannabis Act and to commence production in the summer of 2019 with at-capacity production estimated at up to 41,250 Kilograms of dried cannabis flower annually. This latest milestone follows shortly after an announcement by the Company that it is raising $25 million from new shareholders to fund phase 1 of its facility. James Mackenzie, NordikLeaf's CEO commented that, "the Company is making enormous progress in becoming a significant player in the cannabis industry. Our current plans are for a facility with 165,000 square feet of cultivation space, however, the site that we've identified has significant expansion potential. 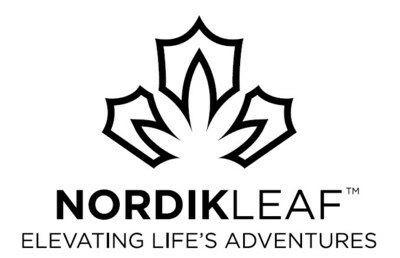 The scale of the project, combined with the expertise of our team and our development partner, solidifies NordikLeaf's investment thesis as particularly compelling." "The recent announcements of large beverage companies investing substantial amounts into this industry is the strongest signal yet that key players from the alcohol, tobacco, and pharmaceutical companies are starting to realize the potential of the legal cannabis market. This presents a great opportunity for us," said Wynand Stassen, CPA, CA, Chief Financial Officer at NordikLeaf. "We are extremely bullish on our ability to offer a great return to our new investors and expect to close our current financing round fully subscribed in the coming months."